Deezer hit a huge milestone recently. The on-demand music streaming service now boasts 4 million paying subscribers, up from 3 million when the company last disclosed its base of Premium+ users in December 2012. The company is still a way off the 6 million subscribers enjoyed by rival streaming service Spotify, but it signals some impressive growth given that Deezer is yet to launch in the United States – potentially its biggest and most profitable market. Deezer doesn’t have quite the same public awareness as its competitors Rdio or Xbox Music, but the company has been hard at work expanding the range of hardware and platforms that it’s accessible from. Earlier this month it launched an app for the Xbox 360, which both Spotify and Rdio are yet to invade despite the console’s growth and marketing focus as a multimedia streaming box. The service is now competing with Last.fm, which is struggling to maintain some of its services, and Xbox Music, which Microsoft is yet to disclose substantial subscriber figures for. The release follows a new app for Windows 8, offering Deezer’s library of more than 25 million tracks – a new milestone, and up to 5 million more than Spotify – to anyone running a desktop, laptop or tablet-laptop hybrid with Microsoft’s latest operating system. The company’s Android app is still in beta – a full release can’t come soon enough – but it shows a much wider strategy that should help to improve the perceived value of its subscription tiers. TNW’s European Editor Robin Wauters recently spoke with Fabrizio Gentile, managing director of Deezer in the Benelux region, at the Next Web Conference in Amsterdam. 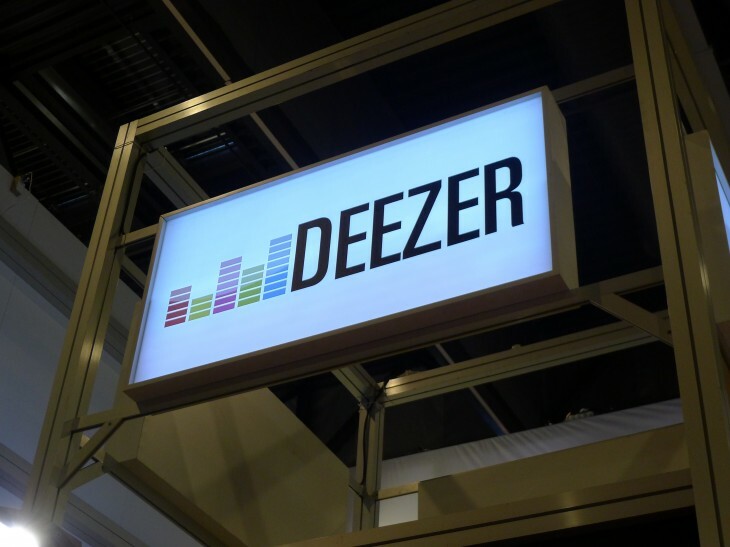 Gentile suggested that the service’s popularity can be attributed to the “human touch” endorsed by Deezer across the company. Deezer has its work cut out, however. Google recently launched Google Play Music All Access at its annual I/O developer conference, giving Android users a new way to stream and buy music. It’s early days for now, but the sheer resources and infrastructure enjoyed by Google means it could quickly become a dominant player. Rdio, meanwhile, launched its Vdio social movie and TV service in April, before rolling out a new “Find People” feature for its Android and iOS apps. With WWDC just around the corner, there’s also speculation of a long-awaited streaming service from Apple. This space is quickly becoming rather crowded, it would seem.